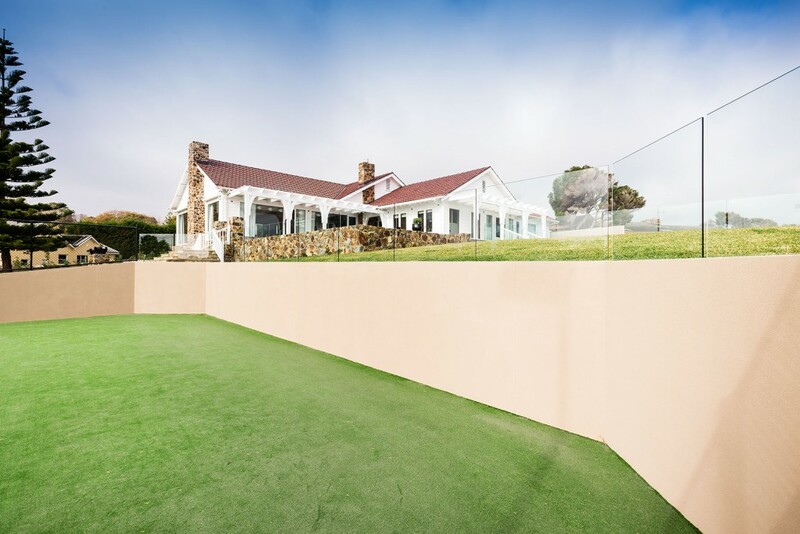 The bayside location of this residence provides a stunning backdrop for this project. 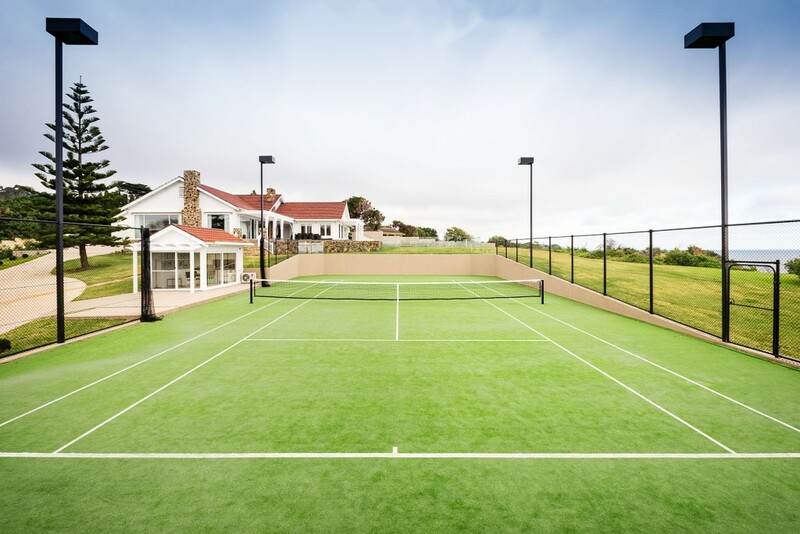 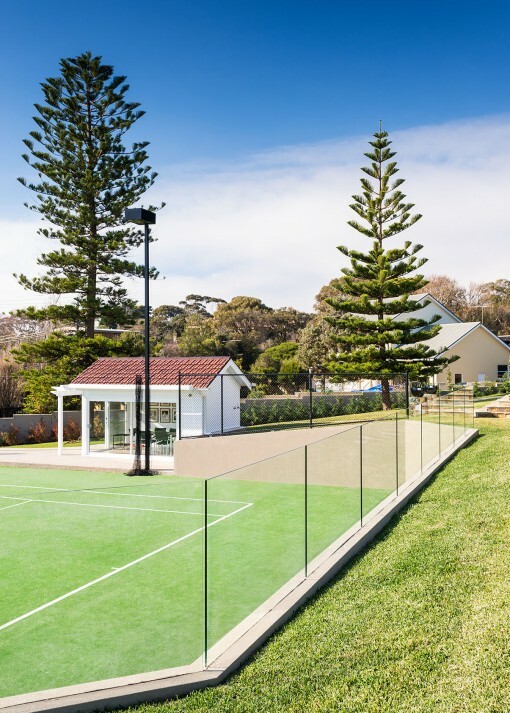 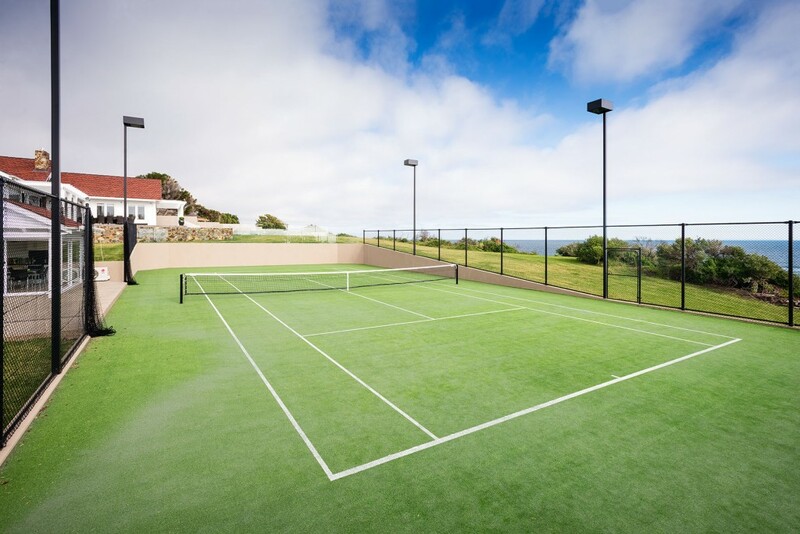 The tennis court features an Omnicourt Pro synthetic grass surface with green sand infill and a Spectra Ace Floodlighting system. 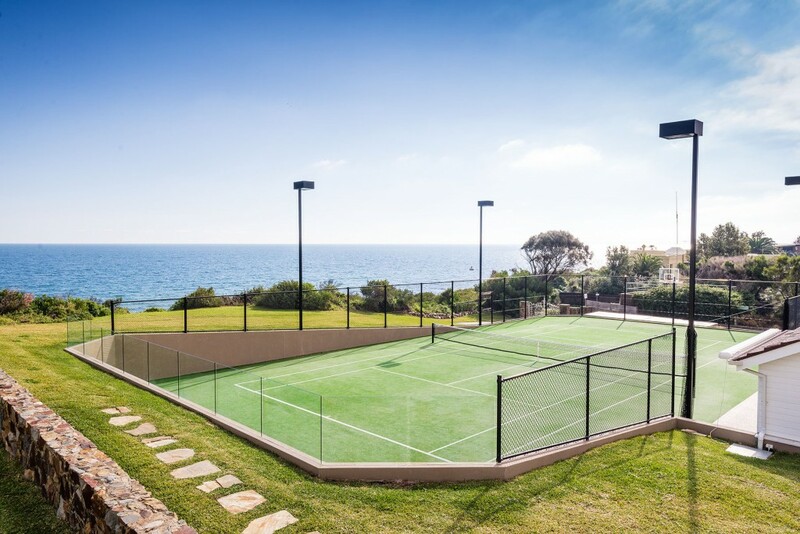 A glass balustrade across the house end allows for unimpeded views across the court area whilst the integrated retaining walls and fencing provide an elegant finish to the court perimeter.